OSX86 is a collaborative project to run the Apple's Mac OS X computer operating systems (10.4 and above) on non-Apple personal computers with x86 architecture compatible processors (a.k.a. our PC's). These systems are simply called OSX86 systems. Keep in mind that this project is only for testing Mac's amazing operating systems. - 1st, 2nd (SandyBridge), 3rd (IvyBridge) and 4th generation (Haswell) Intel Core i series processors are supported including 2011 socket SandyBridge-E/EN/EP and IvyBridge-E/EN/EP Core i7/Xeon cpus. Simply, Core2Duo / Core2Quad / 1st, 2nd, 3rd and 4th Generation Core i3, i5, i7 / Xeon 3xxx, 5xxx, 6xxx, 7xxx, E3, E5, E7 processors are supported. - AMD processors are not supported. - Most of UEFI/Non-UEFI Intel chipset motherboards are supported. - Intel HD Graphics, HD 3000, HD 4000 and HD 5000 are supported, the rest are not. HD 5000 driver supports HD 4200, HD 4400, HD 4600, HD 5000, HD 5100 and HD 5200. Not all of the supported Intel Graphics will work easily but most of them will. - nvidia vga cards from G80 core to the newest Tesla series are supported on 10.9.1. This does not mean that all of them will work of course but most of them will work with iATKOS M.
Simply, nvidia 8xxx / 9xxx / 1xx / 2xx / 3xx / 4xx / 5xx / 6xx / 7xx cards are supported. - About ATI, Mac OS X 10.9 and Clover bootloader gives us more hope and less pain about ATI support. Simply, ATI 7xxx/6xxx/5xxx/4xxx chipsets are supported but of course still more pain and less success comparing with nvidia. 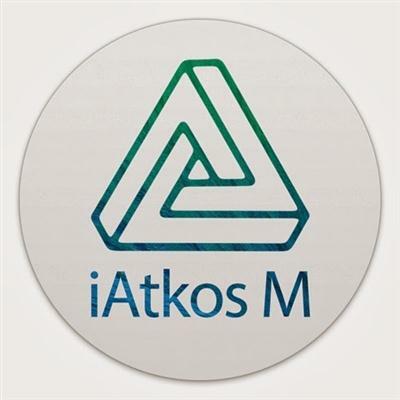 iATKOS M has some options for ATI's including device_id injection and framebuffer override packages to make more of the ATI cards work with less pain. Still, many of the users may have to take some additional steps to use their ATI cards after installation. - Common wired and wireless network devices that are auto-detected by iATKOS M.
There are incompatible/problematic chips but most of them will work OOB with iATKOS M.
Wireless: Some chips (ie. Atheros ar5008, Broadcom BCM4311) are natively supported by OS X. So, this is not the complete wifi support list of OS X. - Recommended minimum amount of RAM is 2GB. - Sound device is auto-detected by iATKOS M and nearly all of the onboard sound devices are supported.